When starting out, it’s best to get a good idea of the size and scale of the sofas and chairs you need. 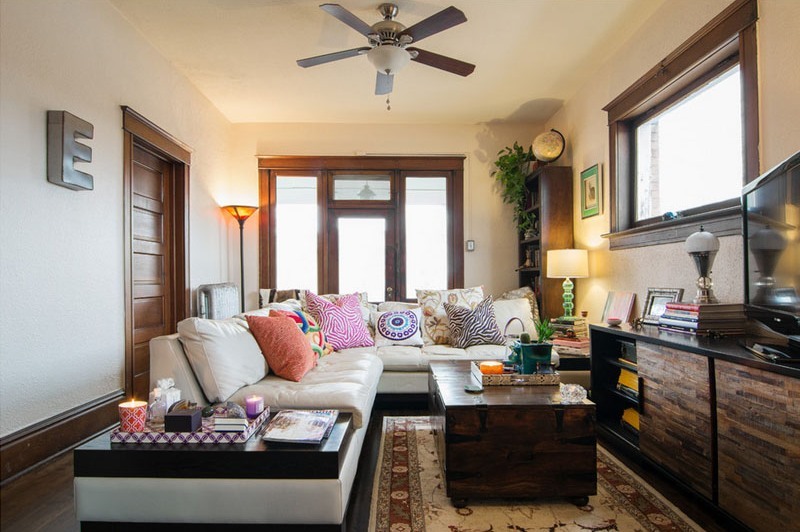 If you have an exceptionally small room, there’s little point in overindulging in a large sofa that will dominate the space and eat up the entire room. Consider how many people will realistically need to be seated at any one time and shop for a sofa that compliments the shape and size of the room and acts as a central focal point for your everyday seating needs. An extra chair here or there will balance out the look and add cohesion. Conversely, if you have a particularly large living room, a small sofa will simply get lost, even if you do not feel the need to have one so large. Scale and proportion is all important in any living room so ensure the sofa feels right at home, whether you choose a 2-seater, 3-seater or corner sectional. If your colour scheme is a little bland or the floor coverings are one tone of wood, tile or laminate, an area rug can help give the seating area definition. A splash of colour will make the seating areas a true focal point whilst certain materials used on the rug can help to soften the look and feel under foot. Nowadays there’s a whole world of beautiful rugs on the marketplace that come in various patterns, styles and colours and can really finish off the seating area with a touch of elegance. The all essential coffee table is an integral part of the area rug so must sit proportionately in the centre and not overly dominate or disjoint the look. Not only doe sit function as the place to put your hot cup of tea or coffee, it also serves as a place for snacks, books, magazines and coasters. 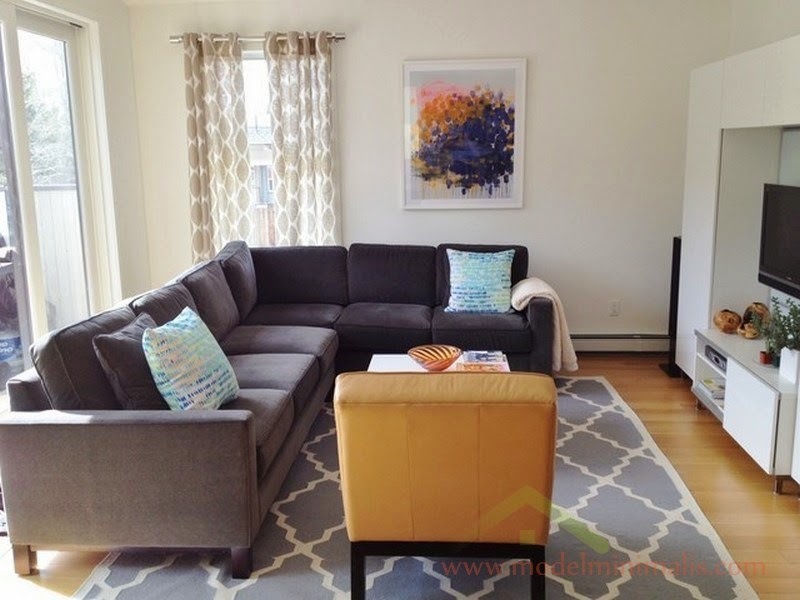 The general rule of thumb is the coffee table should sit at around the same height as the sofa cushions or just below. Anything too high will feel off balance. 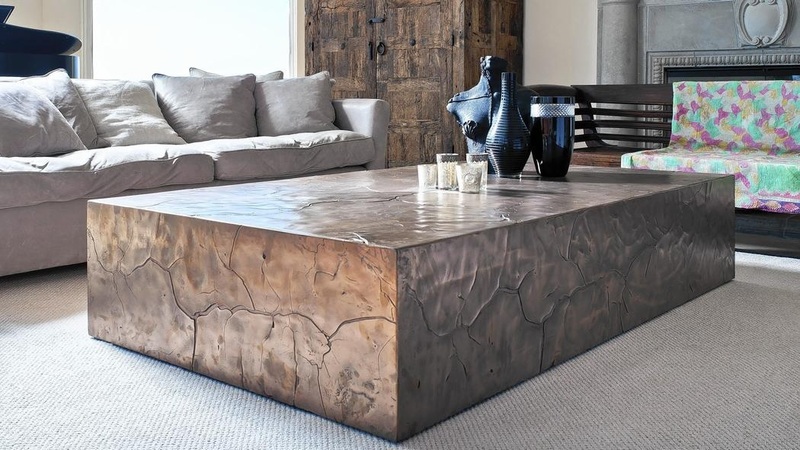 The actual size of the coffee table can vary but generally, it should not be wider than the sofa and allow sufficient space to get up and move around. So allow around 30-50 centimetres to prevent it from becoming a trip hazard or a permanent block in the walkways. 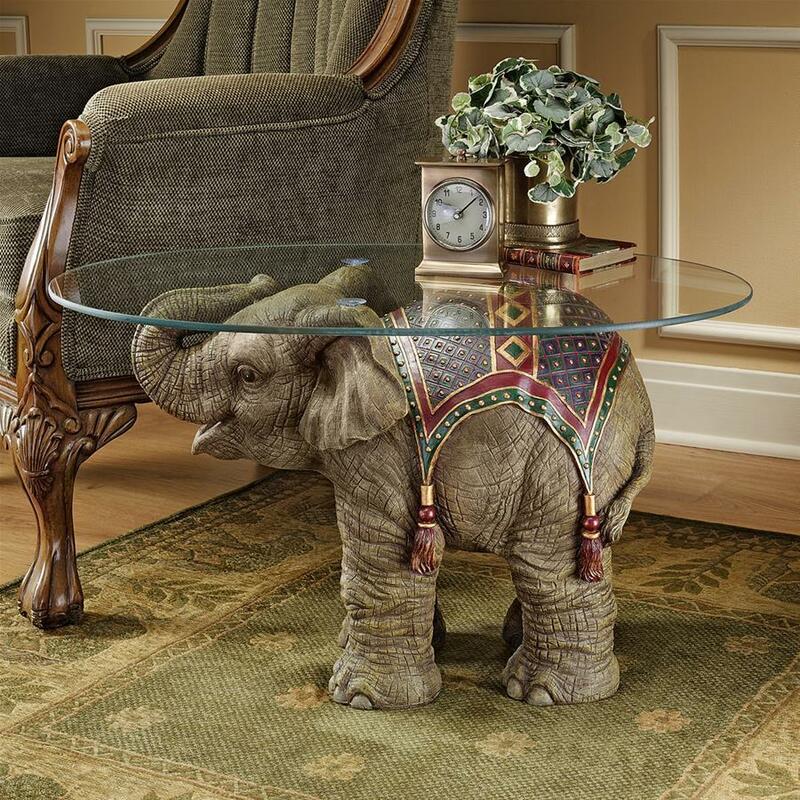 To compliment the coffee table and sofa, those all important side tables are great for conveniently placing a cup of tea or beverage within arms reach without having to move form a position of comfort. Unlike your coffee table, your side tables should sit higher in line with the arms of your sofa so that any outstretched arms naturally place objects on the surface without having to reach downwards. When furnishing the living room, it’s easy to forget about ensuring there’s a natural walkway to allow convenient easy access in and around the space. Living rooms that are small will need plenty of access so objects or furnishings that block or narrow doorways are just going to make the room feel completely disjointed and awkward. Know your rooms limits! Ensure entering and leaving the room feels unrestricted and allows for easy access to other areas such as windows for opening and closing drapes, shelving for gaining access to everyday items and lamps and magazine racks are within easy reach. 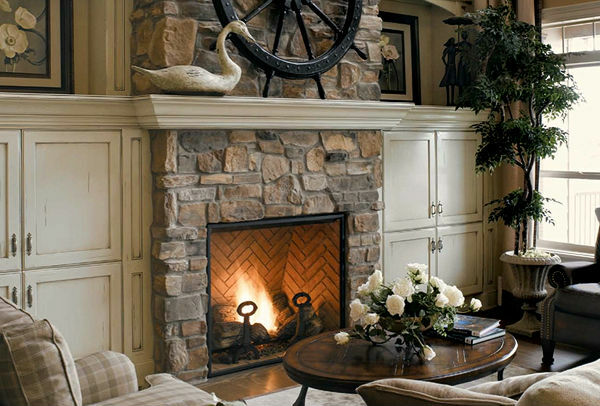 If your room has a stylish fireplace then try your best to make it the focal point of the room. There’s nothing quite like the cosiness and comfort of an open flamed fireplace during the winter months to add a warming glow to the room. Ignoring it or covering it up would be such a terrible waste. Even if your fireplace is no longer active or in use, you can still dress it with a beautiful mantel, some decorative logs, vases, pots and mirrors. 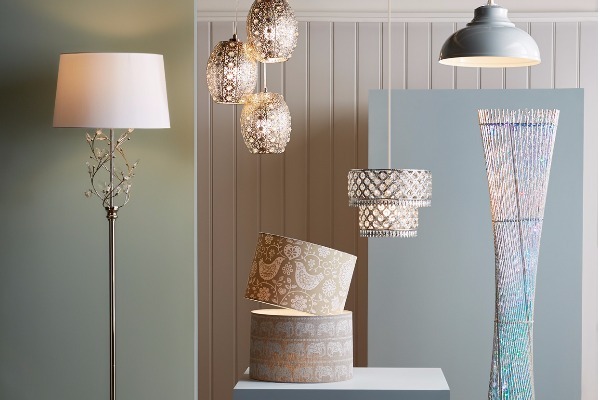 Lamps add different moods to the lighting of the room and are a great way to add personality to the room. If space allows, try to add a lamp that has some unique characteristics that will add colour, style and perhaps even juxtaposes the decor of the room. This is your licence to be a bit creative and wild. Every lounge has a TV nowadays and it can sometimes dominate your thinking when designing the layout of the room. What you need to decide firstly is if your lounge is predominantly for socialising and gathering or for watching entertainment on a TV set top box. If the latter is the case, then it is important not to fall into the trap of trying to make the TV the main focal point of the room, other than placing it somewhere where watching TV will be comfortable without it dominating proceedings. 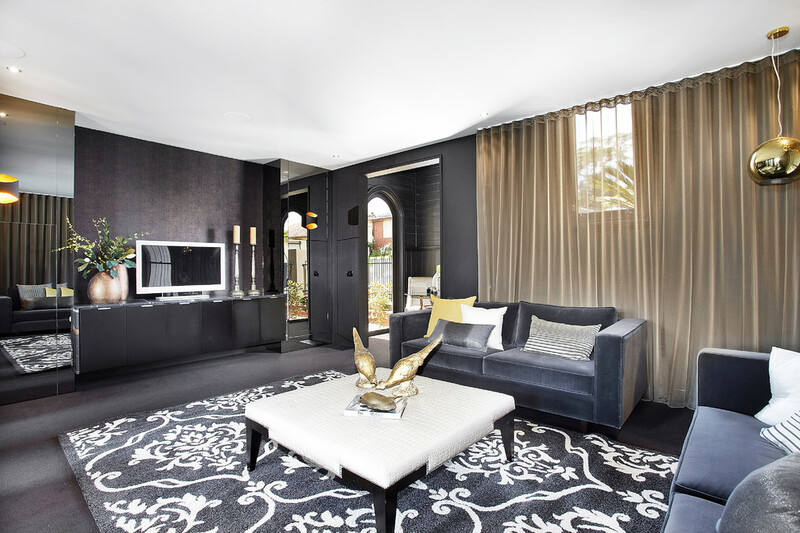 Many home owners mount the TV high up on the wall and all this does is make it the rooms centrepiece. 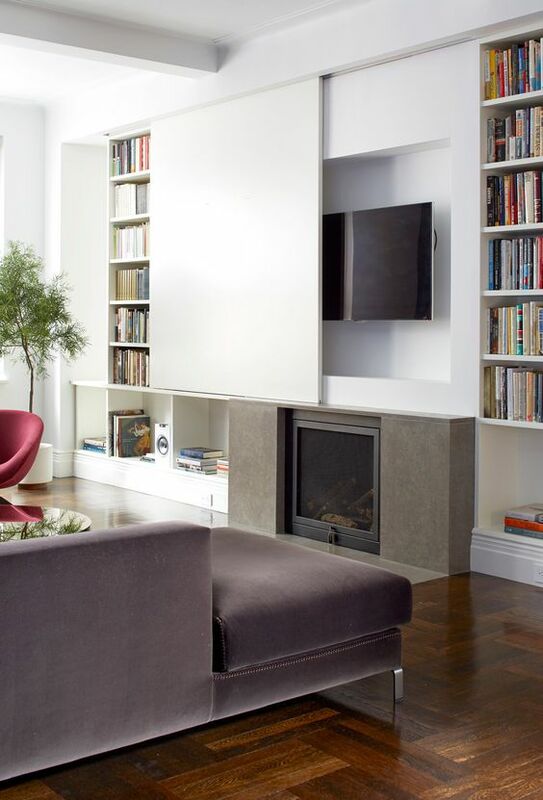 A suitable low lying media unit should be more than satisfactory for a smaller sized TV of 40 inches or less. If however your TV is on the larger end of the scale, try screening it off when not in use to avoid it becoming the elephant in the room. Every lounge will need some form of shelving or storage unit for items such as media players, games consoles, DVD movies or even liquor and glasswares. 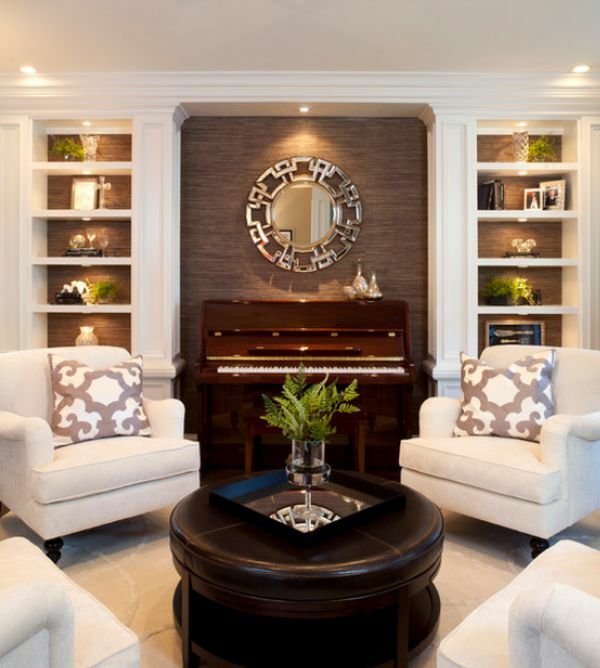 If space becomes tight after furnishing the room with sofas, rugs, tables and lamps, then try getting some built-in units constructed into little nooks and dead spaces that will make use of the areas and create a high end custom finish. No matter what room in the house, you can never have enough storage space! Finally, to give your room a lift, don’t forget to add those all important splashes of colour by hanging artwork and pictures. 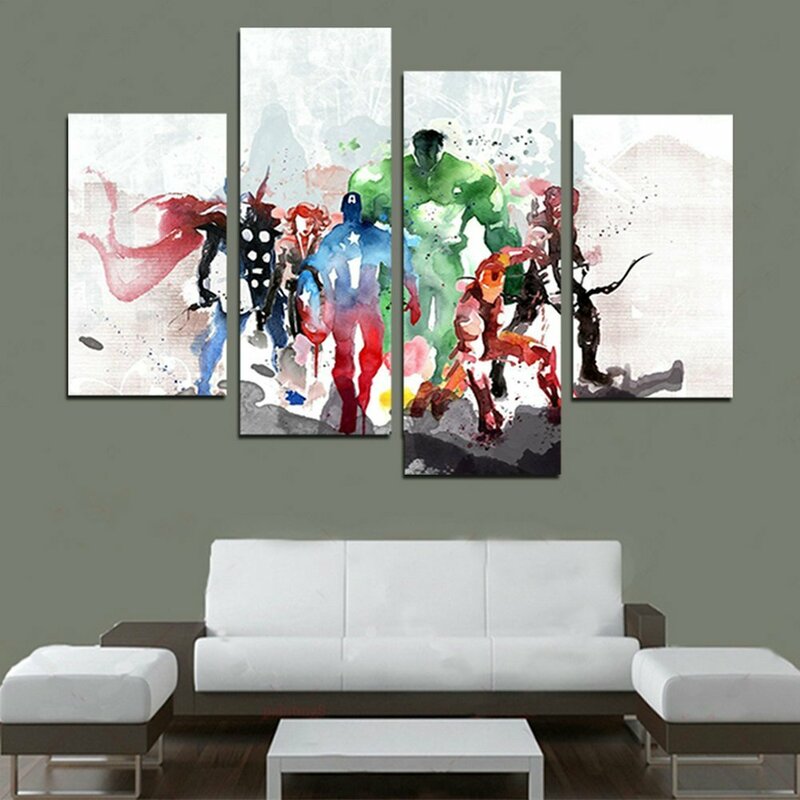 If you have dark walls, then hang art that will brighten and add some pop and contrast. If your walls are light, then hang art that has some accent colours that match the theme of your furnishings and help to give a cosistent look.